DecisionSpace Unconventionals offers a unique, innovative and purpose-built solution to help improve the performance of your particularly challenging unconventional assets in every stage of their lifecycle (Exploration| Reservoir | Drilling | Production | Petroleum Investment | Information Management). 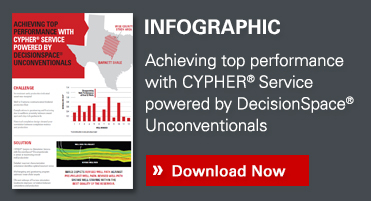 Its Big Data analytical tools deliver more accurate insights into sweet spot identification. 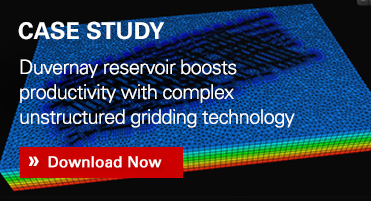 Natural fracture network modeling gives precise understanding of the complex geometry of the reservoir subsurface fracture network. Fracture performance simulation delivers enhanced asset productivity, to help you optimize well location and completion strategies, and maximize production in the presence of natural and induced fractures. DecisionSpace® Unconventionals contains Big Data Analytics tools widely successful for solving difficult problems in other industries, such as pharmaceutical, medical and the stock market. 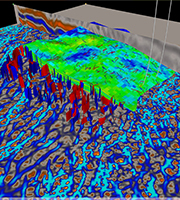 Analytical tools, like Multivariate Data Analysis, help geoscientists and engineers better understand sweet spots via next generation approaches. It allows you to assess and classify data, reduce the number of variables to create new attributes for all the input data and identify the most relevant data to make more reliable predictions. 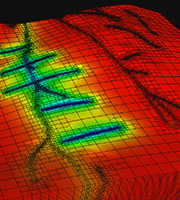 DecisionSpace Natural Fracture Network utilizes your image log interpretation data for natural fracture modeling. To make the best use of available data, secondary data such as seismic attributes can also guide fracture distribution.